Do these sound like things you want, or want your child to have? Of course not! That’s why I literally went through my cupboards and threw all processed foods away. I got rid of anything that had “artificial” in the ingredients, because did you know that artificial flavorings aren’t regulated AT ALL in the USA? It could literally be anything! What was I actually feeding myself / my family? I don’t even know. Garbage. Alright, so onto what I did! I decided that if we were going to eat healthy, it needed to be convenient. That is one of the biggest factors in whether we are successful with something. There are days I just want to relax and do nothing and in those days we would need something fast and easy to grab. So onto planning I went! My planning took me a good 5-6 hours to do, because I pretty much had no idea what healthy food was. Sure I was eating “healthier” by buying “natural” processed foods and grass fed beef, but we still ate things like mac and cheese daily. So I had to do research on things with vitamins, protein, minerals, what was going to be the best option for us that we could handle, but also ease our way into healthy eating. 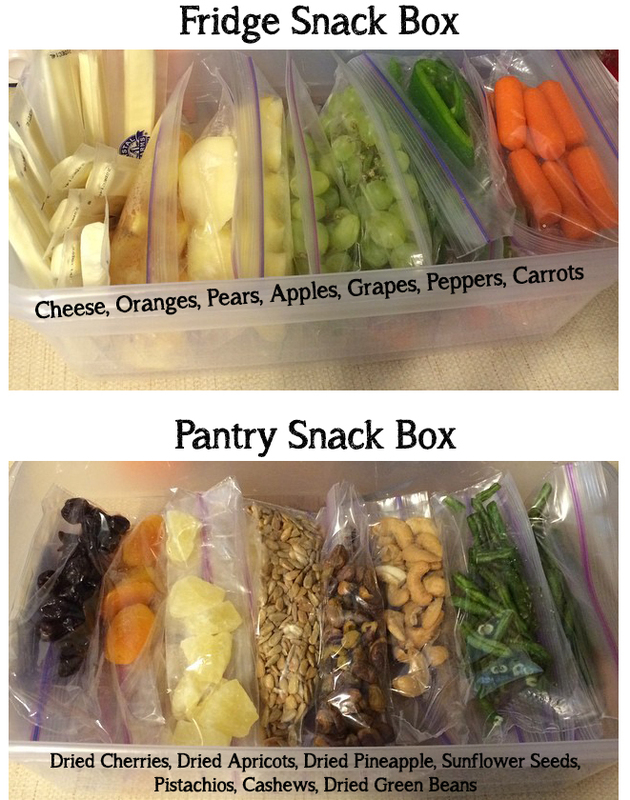 Here are my snack boxes that are grab and go! On top of buying these healthy foods, I also bought a new skillet and bread pan, because the items you use to cook food are also very important. Aluminum and teflon can leach cancer causing stuff into your food! Yuck. I got this pan (clicking the picture will take you to Amazon) and so far it’s been amazing! Seriously, everything just slides right out of it, making clean up take about 3.5 seconds. How to do your eyebrows! Younique Precision Pencils vs Urban Decay 24/7 Eyeliner. I just got these Younique pencils in and they are awesome! See for yourself. I just found out about all of the benefits of this product and it should be on everyone’s “must have” list! Because it is OMG amazing. Squalane – Protects your skin’s moisture. When you hit 20 your natural production of Squalane deminishes and this is why your skin starts looking older and wrinkling (amongst other environmental factors), by adding this to your skin it adds a protective layer locking moisture in. Vitamin E – Antioxidants neutralize free radicals and prevent cellular damage from occurring. Vitamin E is one of the most powerful antioxidants. What does this mean? It means it’s protecting your skin from damage, specifically the kind that UV rays cause. Vitamin C – Reverses DNA damage, helps to produce collagen which evens out fine lines and wrinkles. Also protects against free radicals. CoQ10 – The antioxidants in CoQ10 can reverse aging and repair skin. It also preserves the collagen and elastin that you already have so that you don’t get more wrinkles! Iris Pallida Leaf Cell Extract – A plant from Africa that helps to densify the skin, firm it up, reduce wrinkles, repair damage, reinforces the skin, resists wrinkles – so you know, basically the best ingredient EVER. Do you see why you need to have this, like right now!? It’s AMAZING! Go get it! Here’s a video for you! Summed up: This stuff is awesome.